Help Dink, Josh, and Ruth Rose solve mysteries from A to Z! Kids love collecting the entire alphabet and super editions! With over 8 million copies in print, the A to Z Mysteries® have been hooking chapter book readers on mysteries and reading for years. Now this classic kid favorite is back with a bright new look! 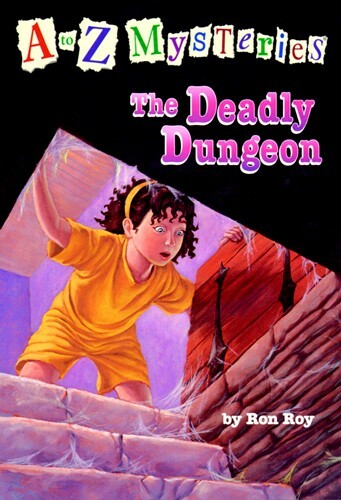 D is for Dungeon . . . Get ready for a sleepover-in a castle! Soon after the kids arrive at Moose Manor in Maine, they hear strange sounds behind the walls. Does this castle have a hidden dungeon? And could it be haunted? Dink, Josh, and Ruth Rose are dying to find out! From the Trade Paperback edition.